Asahi Glass Company (AGC), world-leading manufacturer of glass, chemicals and high-tech materials, and Solaria Corporation, global provider of solar module technologies, announced a strategic partnership to bring an AGC Sudare powered-by-Solaria, building integrated photovoltaic (BIPV) solution to the market. 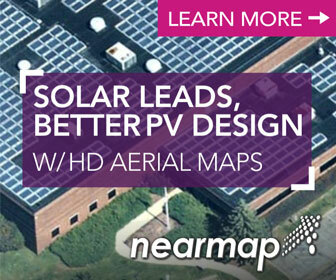 As part of AGC Solar’s commitment to ‘empowering solar efficiency’ the company is expanding its BIPV product line. AGC entered into a relationship with Solaria to develop a new product series to meet the growing demand for sustainable alternatives to traditional windows and facades. Over the last year, AGC conducted rigorous tests, completed a certification process and strategically ramped up its supply chain in preparation for the launch of its new Sudare powered-by-Solaria solution. Combining attractive aesthetics with compelling economics, Sudare powered-by-Solaria is commercially available across Japan and South East Asia for use in building facades and other structural elements. With the global green building market expected to double by 2018 (according to a report by the World Green Building Council) and the construction glass industry expected to reach $111 billion by 2020 (Technavio), there is an increased demand for sustainable buildings striving to achieve net zero energy and improved occupant wellness. 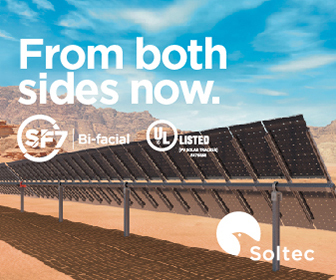 With the new Sudare powered-by-Solaria product, building owners and developers can now unlock the solar power potential of building facades. The first commercial project was successfully deployed in December 2015 with 75 square meters of windows installed into an existing frame as part of a renovation project. The objective of this installation was to introduce thermal insulation and solar power production, while maintaining architectural appeal with vision glass. The project demonstrates the energy generation potential of 3.7kW of 24 BIPV modules, while simultaneously providing enhanced thermal performance, glare control and effective daylighting. The new Sudare powered-by-Solaria architectural glass combines Solaria’s BIPV technology with AGC’s SunJoule glass to create an aesthetically pleasing, energy generating and economically compelling solution. This BIPV product offers builders and developers in Asia a reliable, seamless solar solution to complement the use of traditional architectural glass solutions in commercial buildings.